A Bosnian journalist tells Rick what it was like to live through the Siege of Sarajevo twenty years ago, and what it's like to visit the city today. 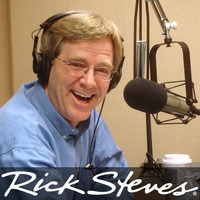 Rick also shares tips with listeners for overcoming shyness and making friends while traveling, including meeting long lost relatives in the Old Country. Information about the sites at Whitehall, the center of government in London. Rick recommends watching the 1972 film "The New Land" to better understand the Swedish emigration wave of the 19th century.